Weed is illegal in most parts of the world, and as a result, people have to use several nicknames for weed to avoid detection by cops or snitches. Humans have always had a special place in their heart for ‘getting high’ and cannabis allows us to do just that. For some, it allows them to experience a more serene state of consciousness, others claim it has some spiritual significance and for some people, it is their medicine. In this article, we are not bothered about why people get high. Rather, we want to share the different aliases and wonderful names for cannabis. Cannabis, Marijuana, Pot, Joint, Mary Jane, Blunt are common weed names. 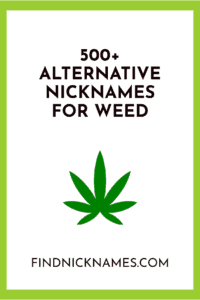 But, there are other cool nicknames for weed (1200+ at last count) as well. The following terms are common words used to describe weed or marijuana. Most of these are funny weed nicknames but they get the job done. 420: A very common street name, also refers to unofficial ‘Weed Day’; for example, in Vancouver, on April 20th everyone is smoking weed all day. Acapulco Gold: Another name for a variety of Mexican weed that is considered prime quality. Ace: For particularly good quality weed. Airplane: For the feeling of what happens when you smoke and you think you’re flying. Alice: Because of Alice in Wonderland and its reference to fantasy worlds and psychoactive experiences. Alice B. Toklas: Famous for having come up with recipes for pot brownies, see also Toke. Amnesia: Because of the effects of short-term memory loss associated with smoking. Ashes: Often burning weed will produce quite a bit of ash. AstroTurf: A play on words because weed looks like astroturf, but also because of its ability to make you feel like you’re in space. Atshitshi: Another common street name for a premium product, although the Japanese etymology is dubious. Awesauge: Recent slang addition used as an adjective to refer to good weed; may reference the slurring effect on speech. B: Just enough marijuana to fill a matchbox. B-40: When weed or a joint is laced with alcohol to make it more potent. Baby / Baby Green: Another diminutive term for weed, can also refer to really young weed harvested early, or to tiny buds. Baby Bhang: Another word for Kush. Bad Seed: When the weed induces a bad trip and you’re not having fun. Bammy: A diminutive form of ‘Boom’ for weed, if you want to sound cute. Beedies: Named for what is commonly smoked in India, usually have a mixture of other things like tobacco or cloves. Blanket: When you’ve smoked a lot and feel so comfortable that you could wrap yourself up in a blanket and just sleep. Blaze: Can refer to weed, but often to the act of smoking, i.e. let’s blaze one! Blunt: For a stubby hand-rolled joint that is quickly or hastily put together and when it begins to burn becomes blunt on one end. Bo-Bo / Bobo Bush: A fun way of letting your friends know you have some weed to share; not as common. Bomber: When smoking feels like its carpet bombing your senses. Boom: May refer to the effect of when a hit of weed hits you like an explosion. Broccoli: From the fact that buds look a little like the heads of blooming broccoli. Bud: The part of the plant that is commonly harvested; best known for B.C. Bud (British Columbia) where very potent weed is grown. Cabbage: It is used as a slang for mariuana because the buds of marijuana look a little like cabbage; see also Skunk. Cannon: Because of the shape of bongs, which sort of look like glass cannons. Cheeba: Probably a perversion of ciba which is sticky black Brazilian weed. China Eyed: Somewhat racist slang for the effect of droopy or wincing eyes while high. Chronic: From the idea of smoking weed every day; a stoner is someone who is also a chronic. Climb: Same meaning, when you are ‘getting high’ and reaching a new level of consciousness. Cripple: When the weed is so strong that you can’t stand after smoking. DaKine: A Hawaiian surfer term; also a popular product brand of outdoor gear, i.e. for snowboarders who smoke a lot. Dagga: African name for weed. Dank: snowboarder term, synonymous with something that is ‘really cool’ i.e. that’s a dank backflip, dude! Dime: Slang for 1/16 ounce, often sold in ‘dime bags’. Ditch / Shake: Often low-quality weed. Dona Juanita: Spanish variation on Mary Jane. Doobie: A popular marijuana sland made famous by the band The Doobie Brothers, doobie can also refer to weed-infused snacks. Dope: May refer to the effects of being sleepy or ‘dopey’ after smoking. Fatty: Very popular in the 90’s, tends to refer to the fact that hand-rolled joints are thicker than average tobacco cigarettes. Gaia: The name of the primal Goddess of Earth who is responsible for the growth of plants. Ganja: The Sanskrit word for marijuana, adopted by many Rastafarians. Grass: Because marijuana is green and a prolific plant, but may also be a reference back to the Arabic hashish (which means ‘grass’). Green Goddess: The spiritual aspect of weed which induces a kind of hypnotic high. Green Gold: Also a callback to the fact that bud looks like nuggets, and is also very valuable. Grog: The feeling of being groggy after smoking. Gungun: Possibly a Star Wars reference to an alien species who are goofy and kind of talk like they are high. Hash: From the Arabic word for marijuana which is hashish. Hay / Bale: Because of how weed is often distributed illegally, i.e. in giant bales. Herb: Pretty basic; a reference to the fact that cannabis is a plant, but also had its roots as a medicine or herb in ancient cultures. Homegrown: Weed that is grown by someone for their personal use, often of high quality and organic. Hydro: Because many weed growers use hydroponics to grow their product. Jay: Common term for a marijuana cigarette, popularized by phrase ‘Let’s smoke a jay’. Jefferson Airplane: Another head nod to a 60’s band who endorsed weed smoking. Joint: Probably refers to how a hand-rolled marijuana cigarette is roughly the same length as the single joint of a finger used to roll it. JuJu: This comes from Haitian lore referencing the magical/supernatural qualities of weed. Kali: Indian grown – referencing the goddess Kali, the Destroyer. Kermit: Because of the Muppet’s character who is green. KGB: Very, very strong weed, referencing the ‘killer’ qualities of the Russian secret service. Kona Gold: Very popular Hawaiian marijuana known for its strength. Krippies: Particularly moist marijuana which is only smoked via a bowl or bong. Kryptonite: Because it’s green and makes you feel weak in the knees, just like Superman around Kryptonite. Kush: A potent strain of Cannabis indica which grows in Afghanistan, Pakistan, etc. Left-hand cigarettes: Because it was thought that cowboys smoked tobacco with their right hand, so stoners (who were more Liberal and Leftist) smoked with their left. Long: For a really long joint. L-Pape: Because of the shape of smoking papers used to make hand-rolled joints. Lucy: From Lucy in the Sky with Diamonds which was a nod to LSD, but also refers to other drugs like weed. Magic Dragon: An old 60’s term for weed from the idea you begin to see things and/or fly like a dragon. Mary Jane: A play on the word marijuana; see also Aunt Mary, Sister Mary, etc. Maui Wowie: Another popular strain/brand of marijuana endemic to the island of Maui. Muggle: A really old 1920’s term for weed. Ninja: When weed hits you very hard and all of the sudden, like a ninja. You never see it coming. Nixon: Because of President Nixon who was opposed to marijuana. Northern Lights: Because of the trippy effects of colors when you’re smoking weed looks like the Aurora Borealis. Nosecone: Large cone doobie with a rosebud. Pac Man: Someone who smokes way too much. Pinner: A 70’s term for weed, maybe a truncated reference to ‘spinner’, or the feeling of the world spinning when you smoke too much. Pot: The common term for weed. Possibly derived from the fact that many people would often grow their own weed plants for personal use in pots at home. 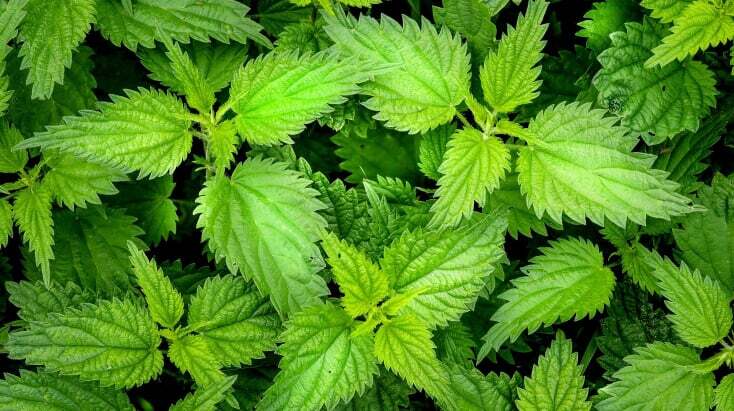 More likely from potiguaya, Spanish for the marijuana plant`s leaves. Puff: Smoke that lingers in the air; also refers to the name of the Magic Dragon. Purple Haze: From the famous song, refers to the psychoactive feeling of being in a haze. Queen Anne’s lace: A classy term for smoking herbal weed. Rabbit-Hole: Also a reference to Lewis Carrol’s work, but also a verb, i.e. after smoking that joint I began to Rabbit-Hole. Ragweed: Very poor quality weed, often laced with other things. Rainy Day Woman: A nod to Bob Dylan’s song which references being stoned. Rangood: Wild grown weed; often grown on old logging roads. Rasta: Because the Rastafarian religion embraces weed smoking. Reefer: Best known from the famous anti-marijuana propaganda movie Reefer Madness which warned of the evil demonic effects of the plants circa 1960’s; from Spanish grifa. Roach: The last end of a joint when it’s been smoked down to something that resembles a tiny cockroach. Sativa: The genus of weed known to produce euphoric highs. Short: Conversely, for a join that is very short. Skunk: The smell of marijuana has often been likened to that of a skunk (or skunk cabbage). Spliff: Another iconic term from the 60’s for a hand-rolled joint. Stank: When your weed is particularly stinky and can refer to particularly old weed. Stem: Another word for a thin DIY joint, often of lesser quality, because it looks like the stem of a plant. Sticky Icky: When weed is particularly well harvested and grown it is quite sticky to the touch. Stogie: Old-fashioned term for a cigar, sometimes applied to marijuana cigarettes. Straw: Also refers to a hand-rolled joint and gets its name from the fact it looks like a narrow piece of straw. THC: Because of tetrahydrocannabinol which is the active ingredient in marijuana that produces its psychoactive and calming effects. Thirteen: Because the first letter in marijuana is the thirteenth in the alphabet. Toke: Because when you take a draw on a marijuana cigarette it’s called a ‘toke’. Yellow Submarine: Because of The Beatle’s greatest hit Yellow Submarine. Yerba: Meant to reference the infused tea yerba mate. Although they might not be as popular, the following terms are also used to refer to a joint. As you can see, there are hundreds of different names for weed. Not for the plant alone, but for the act of smoking it, for those who cultivate it, and for those who smoke it. It is one of the few substances which sometimes feels like it needs its own dictionary, and is a testament to the long history and numerous cultures who have utilized weed through the centuries. Can you think of any terms for weed we might have missed, or do you have your own you’d like to contribute? Feel free to comment in the section below! Another couple of names I’ve heard recently have been Jazz Cabbage and Devil’s Lettuce. Not sure what they are from, the origin, or why they are called that. While these are accurate nicknames… some of the descriptions are waaaay off. Still, props for putting together such a comprehensive list.